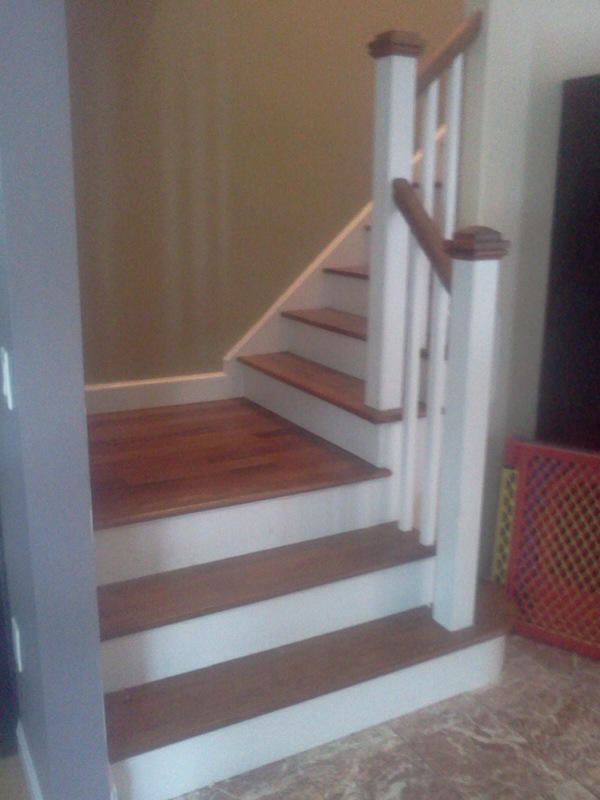 This staircase was re-made from carpet covered rough framing to hardwood. 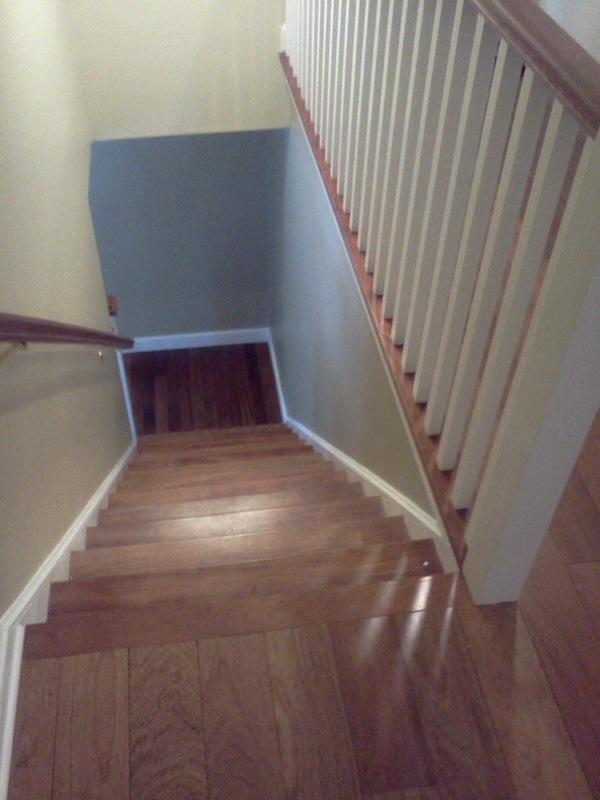 In the process the original frame had to be adjusted to equalize the rise of each stair. The finished wood is Brazilian cherry. Additionally the handrails were made from solid Brazilian cherry, shaped in our shop, and new newel posts and balusters were installed.